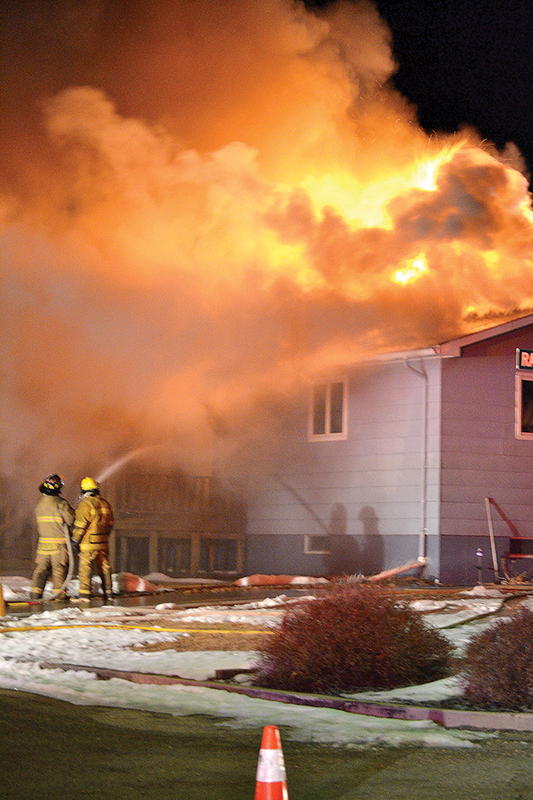 A fire destroyed the home of Mike and Carol Zimoski located on Sixth Avenue East, Friday, March 16. Fire departments of Mobridge and Glenham battled the blaze for several hours before bringing it under control. The fire was reported at about 8:45 p.m. by a neighbor who saw smoke coming from the home. Heavy smoke was present when firefighters arrived several minutes later. The home and the contents were a complete loss. No one was home at the time the fire started, but the couple lost their dog in the blaze. 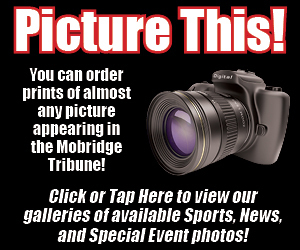 The origin of the fire is not yet known, according to Mobridge Fire Chief Zack Milliken, who said the state fire marshal had not contacted him as of Tuesday, March 20. The fire did flare up several times during the early morning of Saturday, March 17, but was controlled and contained to that structure. A burger and fries fundraiser for the Zimoskis will be held Saturday, March 24, at the St. Joseph’s Parish Hall, beginning at 5:30 p.m. There will be a free will offering and food will be served until it runs out.